J.H. Rudolph & Co., Inc. will continue paving throughout downtown Henderson, Kentucky this week. The Evansville Courier & Press published an article on Sunday, July 22 listing the tentative schedule for this week. To view in detail, click on the link below. J.H. Rudolph and Co., Inc. is pleased to announce the addition of Grant Johnson to the Rudolph Team. As a Project Manager/Estimator in our DOT Division, Grant will focus primarily on managing J.H. Rudolph & Co., Inc.’s larger DOT, Municipal and Commercial projects. 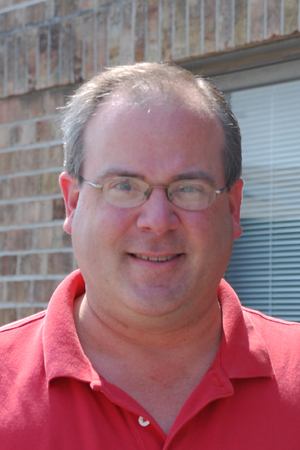 Grant has over 25 years in the asphalt paving business and was most recently a Project Manager at Rauch Excavating, Inc. based in Morrow, Ohio. The J.H. Rudolph & Co., Inc. 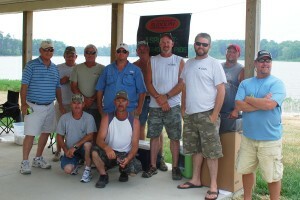 Employee Fishing Tournament was held yesterday, Sunday, July 8 at Huntingburg Lake. Eleven employees participated by arriving early Sunday morning, around 4:30 am to start the 5:00 am tourney. 6 boats participated, most with two fishermen, and ended the day at noon with a weigh-in, lunch and prizes. Employees Rob Walton and Nathan Staten planned and executed the tournament, handling everything from locating a centrally based fishing spot, registering participants and planning the event in general. Safety Manager Kevin Selby manned the grill, treating the group to hamburgers and hot dogs. Superintendent Jerry Wooldridge provided side dishes for everyone and Angela Kifer and Natalie Maasberg helped set up the shelter house for lunch. The following employees particpated in the tourney: Rob Walton, Nathan Staten, Garry Moore, Chris Foster, Mark Wilkes, Carson Wilkes, Todd Heeke, Bob Phillips, Kenny Weatherholt, Charles Holzbog and Tommy Wiseman. Check out our Facebook page for more photos of the event! You are currently browsing the J.H. Rudolph and Co., Inc. blog archives for July, 2012.